The District of Columbia's stadium authority will be hearing from the public about what it should do with the site of RFK Stadium. Events DC has released design concepts for redeveloping the RFK site with either a new football stadium, a basketball and hockey arena or no major sports venue. Residents will have an opportunity to comment on those ideas at a public meeting on Thursday evening. RFK was the longtime home of the Washington Redskins before the team moved to Prince George's County after the 1996 season. The stadium also hosted the Washington Nationals before the team's new ballpark was built. 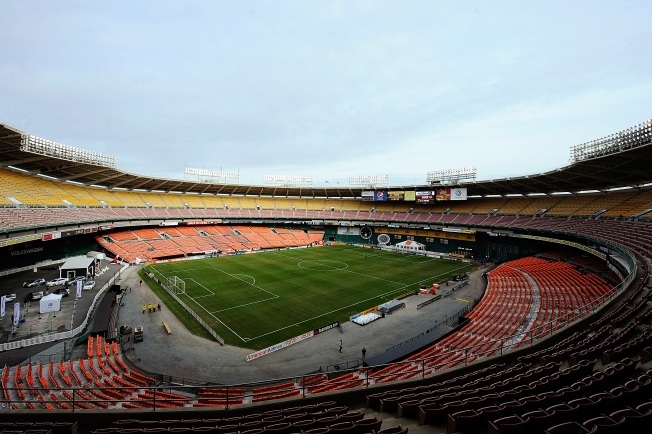 Its last major tenant, D.C. United, is scheduled to leave when its new soccer-specific stadium opens next year.